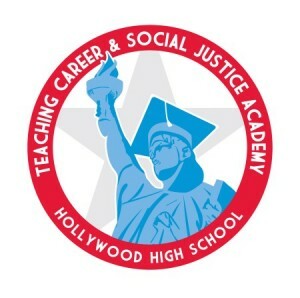 The Teaching Academy will be expanding their Child Development Program in the spring and is encouraging students who have plans of working in the field of education to join. T.C.A.’s child development program is a five-course program that prepares one for a career in education while providing you with college level courses that one would normally need to pay for. The program is funded by Los Angeles City College and is taught by Rosa Cruz. Upon completing these courses one would be certified as a teacher’s assistant, meaning one would have a job earning $24,280 per year right out of high school. Those who wish to continue and become a certified teacher would go on to either L.A.C.C. or the University of La Verne and complete the second part of the program which includes more training and courses. These classes are completely free and are worth 10 elective credits and three college credits, although Kelly Bender, director of the program, strongly suggests students take the class for educational purposes. “The program is a big commitment, the classes are not just for credit recovery,” said Bender. One class consists of 40 students per semester but will be expanding to 80 students starting in spring. To complete the five courses before graduation from high school, one would need to begin in your tenth grade year during the second semester. Students must have a minimum GPA of 2.5 and be interviewed by Bender. Some of added perks included in the program are field trips and LACC I.D. discounts. The classes take place on campus on Mondays and Wednesdays from 3:30 to 5:00 and are taught by an LACC instructor. Those who are interested in joining a college level program that provides the opportunity of paving your future at a young age, see Bender in room 315.